A.J. Cope is a Quality Assured Firm. Our Quality Management System meets the requirements of ISO 9001:2015, this coupled with our Quality Policy to "Always provide the best possible service to our customers at all times. ", is your guarantee of good service. View AJ Cope & Son's electronic turning page catalogue. Featuring over 13,000 items of Laboratory Equipment, Instruments and Consumables. 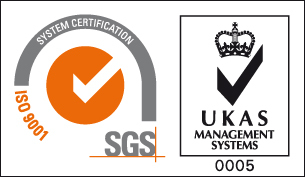 Cope operate a quality management system in accordance with ISO 9001 and are certified by SGS.